In celebration and support of Qatar’s National Sports Day, Almana Group has held a Sports Festival that started on January 26th 2019 and ended on the 12th of February 2019 with a special celebration to the winning teams. 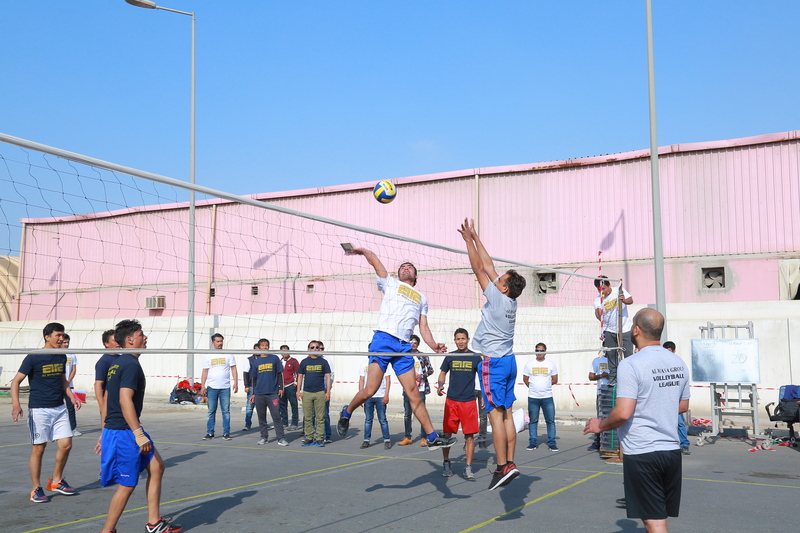 The festival encompassed Basketball, Volleyball and Cricket tournaments in which all the subsidiaries, affiliates and joint ventures of Almana Group have participated. The Cricket tournament was held at the Asian Town Cricket Stadium and the other tournaments were held at AIMS facility in Industrial Area. On the National Sports Day, 250 employees of Almana Group gathered to compete across a range of mini game tournaments and participated in running a 2KM marathon in an atmosphere of fun, excitement and celebration. During the day, a winning ceremony was held to deliver the prizes to the winning teams with special attendance of Almana Directors, management and staff. “ We are so pleased to celebrate today the National Sports Day of Qatar with our employees especially with the great Sports achievements that our country is witnessing nowadays” said Mr. Saud Almana Vice Chairman, Almana Group. “In Almana Group, we believe that our employees are the key pillar of our success and we are always striving to deliver the best working atmosphere to our staff” he added. Mr. Chaouki Younes, Head of Human Resources in Almana Group said “ We are always keen at delivering the best working environment to our employees and we are always looking for activities to engage with them, support them and help them to grow in our organization”. “ We are so glad and pleased to launch today the Employee Sports Festival which is a great opportunity for our staff to know each other, engage in fun activities and participate in Sports vipes of our country Qatar” he concluded.